Welcome to the Aviation Index, NATS' look at the latest trends, topics and attitudes around flying and the aviation industry that aims to give a flavour of how the Great British public feel about everything from flight delays to drones. Working with Ipsos Mori, we surveyed 1,000 representative UK adults to gauge their views on some of the biggest issues facing the industry, and the results make for fascinating reading. How does the nation feel about the growing and seemingly inescapable use of drones? Do safety and privacy concerns outweigh how drones could make our lives easier? We also asked about digital air traffic control towers and how people might feel knowing their air traffic control team were hundreds of miles away from the airport. And how do people really feel about flying in the 21st century? Do they feel safe? What factors go into choosing an airport or airline? Is it really just down to price? How do people think Brexit will change their flying habits? We think you might be surprised. Finally, we looked at people’s attitudes to modernising the UK’s airspace and re-writing its ageing flight paths. What should be the priorities? The highlights are set out for you to enjoy and explore below, but if you want to get really stuck into the detail, the full results are also available to pore over. The UK is a nation of flyers, with a huge majority having flown at least once in their lives, and over half having done so in the past 12 months. Young people aged between 18-24 were the group most likely to have flown recently, while our research also shows that nine in ten flights are for leisure. While price and distance will probably always be many peoples’ first priority, a sizeable minority also place a big premium on punctuality and service, with almost 30% of people saying they would choose to pay more to fly with a particular airline, and 28% saying the operational reputation was one of the most important factors when booking a ticket. This tells us that passengers rightfully expect a good service wherever they fly from but that a sizeable minority are prepared to pay more or travel further if they think they’re going to get a better service. In terms of safety, interestingly over half of those surveyed had no opinion on whether flying is the safest form of transport, despite clear evidence to support the claim. However, 63% of people do see flying as safer now than ever before, despite terrorism (45%) being their top concern. Interestingly, with a year until the UK leaves the European Union, four out of five people do not believe it will have any impact on their travel plans, either inside or outside the EU. Cutting aircraft carbon emissions should be the top priority for the aviation industry, with just over half of those polled citing reducing emissions from flying as the main objective from any reworking of the nation’s airspace. Improving flight paths (36%) was the next highest priority, followed by cutting noise and flight times. 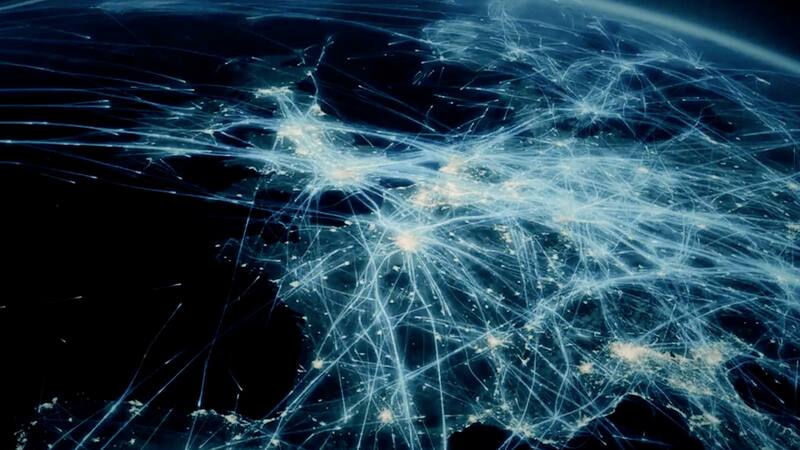 Much of the UK’s network of air routes and flight paths were originally designed in the 1950s and 60s and are now in urgent need of modernisation to keep pace with growing demand. The UK’s ageing airspace doesn’t allow air traffic controllers to take advantage of the precision navigation capabilities of modern aircraft, something that would allow for more direct routes and smoother and quieter flight profiles, all of which would help reduce carbon emissions per flight and keep delays low. The research shows that 49% of people would support updates to flight paths, against only 6% who would oppose any changes, with almost 6 in 10 also saying it should be given the same priority by Government as the roll out of high-speed broadband. While the environment was given top priority, more respondents agreed (45%) than disagreed (21%) that residential areas should be avoided as far as possible, even if that did mean an increase in fuel burn and emissions. Almost half of those polled also agreed that airport expansion was the right thing to do (with 15% disagreeing), and that figure rises to 63% in London. We also asked people how they felt about two major emerging technologies; drones and digital air traffic control towers. The rise of drones has been dramatic in recent years, which worryingly has also coincided with an increase in near misses with commercial aircraft. Yet despite the safety concerns, drones seem destined to become a part of our everyday lives, but they must be properly managed and carefully regulated. The British public remains concerned about privacy and safety, but that tone changes when some socially beneficial examples are presented. When asked about digital control towers – where a traditional airport tower is replaced with a network of cameras that allow the controllers to be located elsewhere – most people were unfamiliar with this emerging trend in the industry. Four in five people hadn’t heard of the concept, but once it was explained 46% expressed scepticism and would prefer to fly from an airport with a traditional tower. That’s perhaps not surprising given the technology has only really started to come to fruition in recent years, with London City Airport among the first adopters in the UK. Interestingly, 35% versus 13% felt digital towers would make flying more efficient, and support for the concept was higher among frequent flyers. It will be fascinating to track this trend over the coming years as more digital towers come online.